The Madden Football series has been around yearly since 1990 and had one previous release in 1988 on MSDOS and Apple II’s. That is 22 back to back releases and 23 total for those not up to the math. It is doubtful that any other series has a track record that matches Madden, and it is this track record that makes Madden games hard to review (especially since any real competition ended back in 2004 with the exclusivity deal between EA, NFL, and NFLPA). The only comparisons to make is against the previous iteration of the game. This years version of Madden has big changes both to the engine and to modes. Are the changes for the better or did EA Tiburon sink their flagship game? 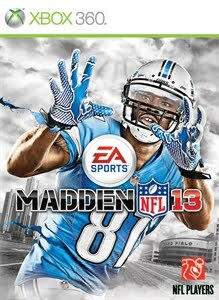 The buzz phrase for Madden NFL 13 is the Infinity Engine. The new physics engine is claimed by EA to be the greatest technical innovation this generation… perhaps. It would be possible to agree with that if they had programmed the stadium with physics and wide receivers weren’t walking through the wall behind the goal after a touchdown pass. It is also questionable when a hit from the side on a receiver sends him flying 5 yards through the air. With those visible quirks said, the engine actually looks and feels quite a bit more realistic but with it being so new there are obvious bugs when everyone is so used to seeing the canned animations of previous years. One of the more realistic interactions was seeing a defensive player tripping over the arm of the guy he just creamed when getting up off the ground. That is just something you would not see in the old games. The Infinity Engine is a physics simulation that takes account of each players stats including a new balance and muscle tension system to create realistic hits where body type and impact locations matter. While the physics might be spot on outside of a few quirks, the AI choices in this simulation can be a bit troubling. An example is the AI steering a running back into a group of players and upon the replay of the play, we see him run into the back of an opposing player and fall to the ground as if that player had been a sliding glass door and him an unwitting bird. With a year or two of tweaking to the AI and Infinity Engine, the realism should be unparalleled. The big gameplay change outside of the engine this year is Total Control Passing. In previous years, if you threw the ball it would either lob or bullet pass or somewhere in between equating to three different pass styles. This was never realistic as we all know that there are many ways to throw the ball to land it where it is needed. 3 different styles has now turned into 25 styles with Total Control Passing and it is now possible to lead a receiver and place the ball right over his shoulder or in front of him as needed. With the new passing, changes have been made to receivers and defensive players. Ball awareness is now the name of the game. Receivers button pass icons stay faded until they are expecting the ball in their route. Throw it to a faded icon and don’t expect them to catch the ball or be anywhere near where it lands. The receivers now have to either be able to see the ball or expect it to make those spectacular catches. Defense is limited in the same way. No more magic ball swats from nowhere. If they don’t see the ball, they can’t react to the ball. A lesser gameplay change to complete the passing game improvement package is the ability to abort a play action play if a blitz is on its way. Immediately pass to avoid that sack instead of having to go through the complete fake animations before being able to get the ball to your receivers. Presentation is another big buzz word for this year and has been a constant improvement every year. Madden NFL 13 brings in Jim Nantz and Phil Simms to provide commentary. With massive amounts of new recorded commentary, repetition still happens. Nothing beats being informed after spiking the ball to stop the clock that the reason for your incomplete pass was because the receivers did not know their routes. Every year critics swoon over the increased quality of presentation and every year everyone except the die-hard football fans skip as much of the presentation as possible while playing the game. That is not to say that presentation isn’t important because those that skip it would be the first ones to complain if that quality was missing. At first and second glance, Madden has gotten to the point that it is hard to differentiate it from a real NFL broadcast. Camera angles, lighting, and stadium modeling improvements make everything look just a bit more realistic especially in far off shots. As you exit the press start screen in Madden, the UI forgoes the old standard of menus for a more tile based interface similar to the “interface formerly known as Metro” found in Microsoft’s latest products. The first screen unifies everything that is Madden NFL 13 with having access to the different modes and information all at one button press away. What to know how many people are online? It’s right there along with access to starting an exhibition game, Madden Ultimate Team, or the new Connected Careers mode. Connected Careers is the combination of franchise, online franchise, and superstar mode mashed together into what is about as RPGish a sports game can get. When you start Connected Careers, you choose to be either a player or a coach. As a coach you get the more traditional franchise feel while playing as a player gets you something more akin to Superstar mode. You can create new player or coach, choose an existing one, or pick a legend if you have them unlocked. You then continue/start their career earning experience for completing goals and games throughout the 30 seasons. Tired of playing your current player? Retire them to CPU control and pick a new one without dropping your progress into the franchise. Connected Careers can be played online or offline, with friends or by yourself. EA even has a beta website up to manage and review your Connected Career mode. This is a nice plus, especially for those that use such features in fantasy football leagues. Connected Careers seems so obvious a choice of how to handle those that want to play superstar mode and franchise, that one has to wonder why Madden didn’t handle things this way years ago. Community plays a big role this year in Madden also. Know a group of people you like to play online with but don’t want to go as far as creating a Connected Career? Join a community and have easy access to most of the online features and your friends. It is almost like a guild interface but with the ability to be part of multiple guilds. Madden Ultimate Team makes a return and plays the same as previous years. Collect cards, build a team, and compete to earn coins to get better cards. It truly is the most interesting way to bring card collecting into a sports game. Madden Moments are back and you can relive interesting real situations from NFL history. The moments can be some of the most challenging aspects of Madden. Madden NFL 13 is the best imitation of the real NFL experience yet and the only way it could get better is if they had Nantz and Simms personally commentate each and every game live. Despite the nitpicking criticisms found in this review, you can not find a better football experience from any football game past or present. This game is a must buy for those that have been holding off on a Madden title for a while and those that buy Madden every year should keep on doing it. I write stuff. I play stuff. I code stuff.